Since roof repair and replacement are some of the most difficult home improvement projects, it’s not surprising that experts recommend hiring a licensed roofing contractor to get the job done. Why be particular about a licensed pro? Why not just do the work on your own? One of the main things you should be careful of when looking for a roofer to hire is storm chasers. They are scammers that go to storm-hit areas to offer outrageously low prices for roof repair or replacement. Once a storm chaser gets the money, they leave the area and move to the next town to look for more people to scam. 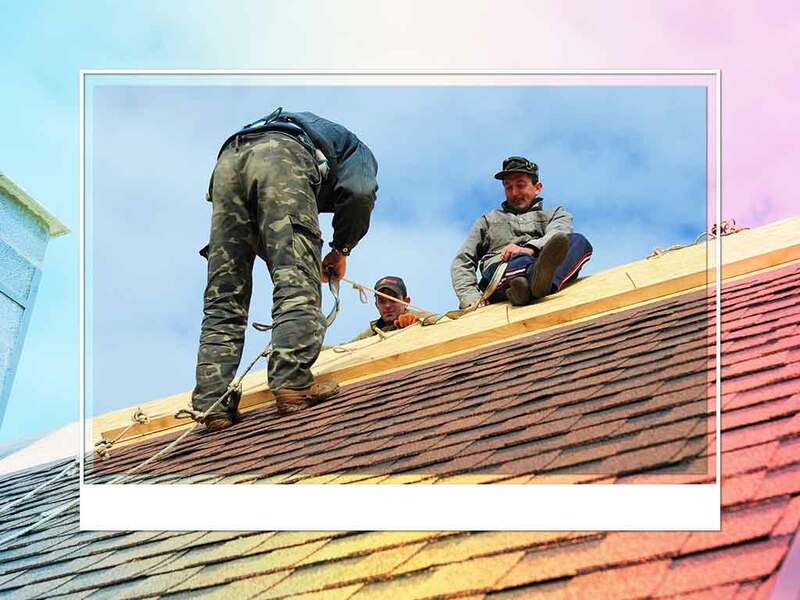 Legitimate roofers are properly licensed and will even be able to show you certifications to prove that they have people capable of performing the job. You might ask, “How would a roofing company near me get their licenses?” Acquiring a business license and a roofing license aren’t as simple as applying at the nearest city hall. Business licenses require a roofing company to meet certain requirements that make them able to function as a proper business while roofing licenses ensure that the business is able to produce high quality roof work. When hiring an unlicensed roofer, it can be difficult to tell how well (or not) they can perform their job. Many homeowners have made the mistake of attempting to DIY their recent roofing project only to end up with disappointing results. This is because the lack of experience of people performing DIY roofing tasks increases the risk of committing mistakes in measurement and installation. A licensed roofing company is less likely to commit amateur mistakes and will also have warranties that keep you covered should any problems appear. Aside from the risk of lackluster results, trying to fix a roof on your own can be a very dangerous task. You may not have the equipment or experience necessary to safely work on your roof. You might accidentally step on a weak part of the roof, damaging shingles, causing pieces of the roof to fall and damage your property, and even cause injuries. The next time work has to be done on your roof, ask yourself, “Is there a licensed roofer near me?” and forget trying to climb on the roof on your own. If you need help from a licensed roofing contractor, we’ll be more than happy to help. Innovative Roofing and Siding, Inc. is your number one source of roofing solutions in Knoxville. Call us at (865) 444-6070 or fill out this online contact form to request a free quote.